The toothed stems and horizontal blooms say this is not a Christmas cactus, but a Thanksgiving cactus. Your Christmas cactus is already in bloom well before Christmas? That’s normal… because it’s not a Christmas cactus. Let me explain. There is indeed a true Christmas cactus, in fact two of them (Schlumbergera russelliana and a nearly identical hybrid S. x buckleyi), and they do bloom towards the middle or end of December. 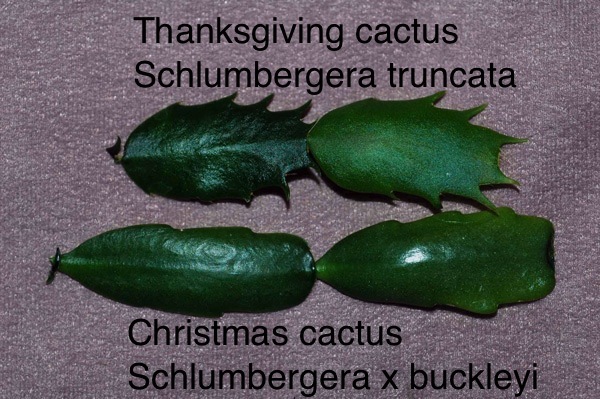 But they’re not popular with greenhouse growers who prefer the earlier blooming Thanksgiving cactus or crab cactus (S. truncata), which, as the name suggests, naturally blooms in November, shortly before the American Thanksgiving. 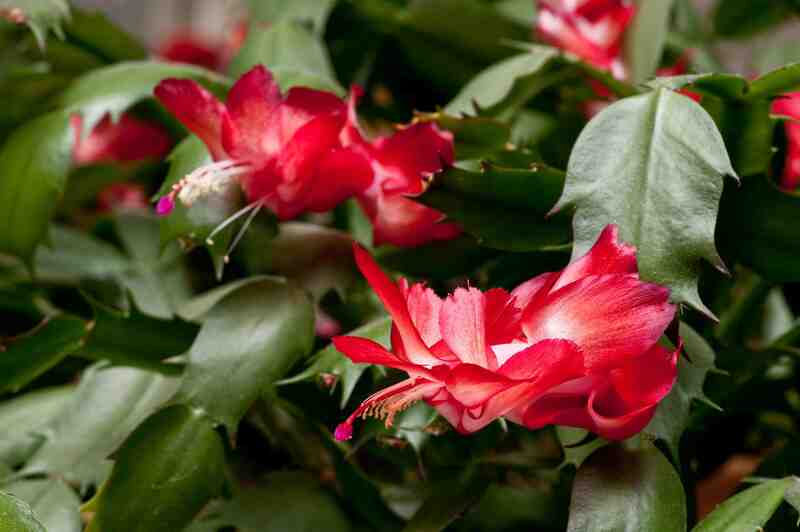 The true Christmas cactus has pendant flowers and pendant stems with no pointed teeth. 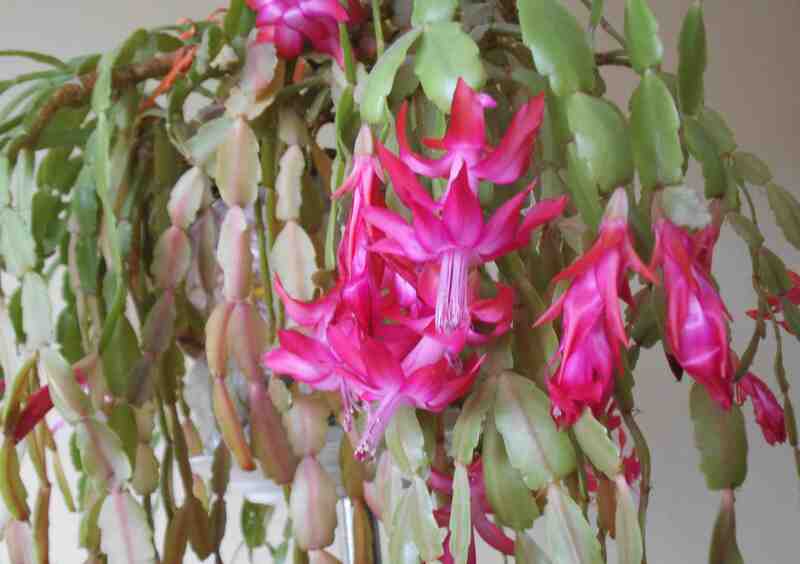 The true Christmas cactus has a distinctly pendent stem, hanging flowers in shades of magenta, and, most obviously, flattened stem segments with smooth, somewhat crenellated edges, never toothed. It is rarely sold in nurseries because its long stems shatter too readily, making it difficult to ship. 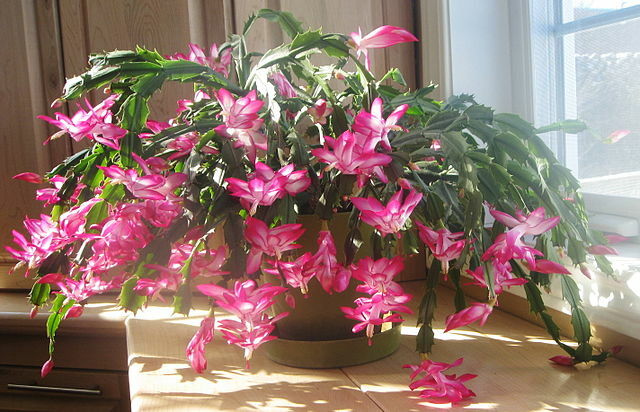 And, of course, if your plant naturally blooms at Christmas, that’s another good sign it’s probably the true Christmas cactus. The Thanksgiving cactus has stems that grow upright at first, then arch… and its flowers are borne horizontally rather than hanging limply from the stem tip. Most obviously, though, it has distinct teeth on its segments a bit like crab claws, which is why it is also known as crab cactus. Also, unlike the true Christmas cactus, it comes in a wide range of colors: red, fuchsia, magenta, lavender, pink, white, yellow and even orange. It abundantly found in stores of all sorts in the holiday season, even supermarkets. Under normal circumstances, it will bloom in very late October or in November. Just to confuse people, Thanksgiving cacti are often sold in full bloom at Christmas and you may indeed have purchased yours at that season. But now it blooms in November. Why? First, both Thanksgiving cactus and the true Christmas cactus need short days (less than 12 hours of sunlight per day) starting in late September or they won’t bloom at all. So I suggest you put your plants in a spot that receives no artificial light between 6 pm and 5:30 am. I put mine in the guest room – we never turn on the lights there at night – but you can simply place your plants behind other plants or a piece of furniture: you just have to make sure no artificial light reaches them at night. Next, you have to keep your Thanksgiving cactus cool, below 60˚F (15˚C) day and night until just before Christmas. This will slow down the development of its flower buds. Then move the plant into a regularly heated room in mid-December and voilà! Flowers for Christmas! Thanksgiving cactus in full bloom. Personally, I’ve learned to love flowers whenever they appear. So I don’t struggle to force my Thanksgiving cactus to bloom for Christmas. If they want to bloom their heads off in November, that’s fine with me. Nor am I upset when both my Christmas cactus and Thanksgiving cactus rebloom in late February or March. Hey, sometimes one will bloom yet again in mid-summer, when the days are long (I have no explanation as to how that happens!) and that’s fine with me too. I say just enjoy the bloom, whenever it occurs. 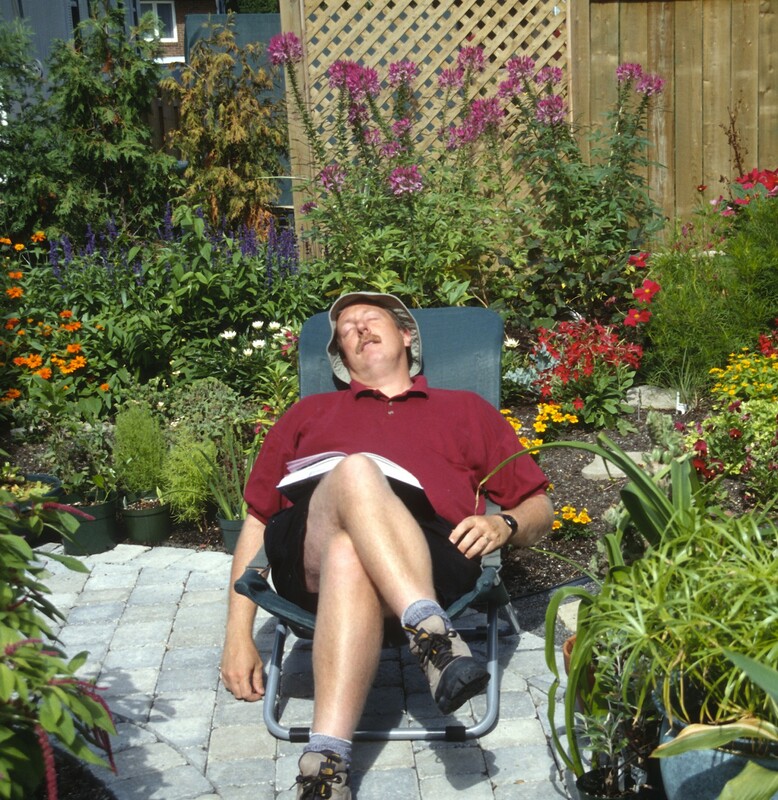 But then, I am a laidback gardener! Very helpful. What’s your take on watering and fertilizing? I fertilize little, and mostly in spring in summer, as both types are epiphytes in the wild and therefore not very needy. I just use dilute seaweed fertilizer. As for watering, they aren’t desert cacti. You could water them a bit less in winter if your conditions are cool, but most people’s homes are warm, so the plants would need regularly watering, whenever the growing mix is dry to the touch.